PopCap has shared few details about the sequel to its popular lane defense game Plants vs. Zombies after announcing the follow up in late March, but today the company offered up a more solid July release date along with a teaser trailer. Though the trailer does not give any hints about the gameplay, it does poke fun at the lengthy amount of time between releases. 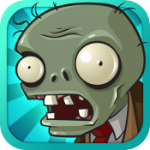 The original Plants vs. Zombies game was released in 2009, with an iOS version available in 2010. According to the video, PopCap will be officially calling the sequel Plants vs. Zombies 2: It's About Time. Though no specific platforms have been announced for the release, the popularity of the title on iOS suggests that a simultaneous iOS and PC debut is likely. Apple recently revealed that Plants vs. Zombies is the 12th top all time paid app for the iPhone. It's like companies don't even have websites of their own anymore. I just hope EA doesn't simcity Plants vs. Zombies 2 up. "It's about time". Wait to plant plants or pay via in app purchase to skip the timer. I just hope it won't be IAP-centric. As much as I loved the first game and played it numerous times, I won't be doing this sequel if I can't just buy it for $4.99 or even $9.99, without penny-pinching IAP. The problem is see with this is that when PvZ2 comes out the orignal PvZ will be abandoned and there will be no more updates. I even seen old version of games disappear from the App Store. At least I got the original PvZ as a free app of the week. You are actually complaining that you are not getting more free content for a game that is already massive and considered a gem, and you even got the game for free? Wow... People these days.. Thanks for sharing. :rolleyes: Then you must be in the minority...since out of 10 BILLION APPS, it was the 12th on the paid list. but why? it was horrid..! If this sequel is half the fun of the first one it will be a great game already. This pisses me off because they try to speak on my behalf (as the gamers), yet they make it look like what I want is in fact the opposite of what I really want. I'd much rather they updated and improved the original rather than making a sequel. Look at Left 4 Dead 2. Some of friends have L4D1, some have L4D2, and it's a mess that you can't play together. It would've been a much better single game with updates. Imagine instead of updating TF2 they instead made TF3, TF4 every year. Making sequels is mostly an excuse to charge more money all over again. Ummm... Yeah. Take a deep breath, relax and have a lie down. Even accounting for individual tastes you simply can't call it horrid. Give the hyperbole a break. It's been three years, dude. What do you want with your five buck purchase? A massage, perhaps a nice cup of coffee once a month? Looking forward to it, but I hope that it doesn't come with IAPs. I see IAPs like gambling. It takes advantage of those with weak wills.